The Federal Water Pollution Control Act Amendments of 1972, commonly referred to as the Clean Water Act, is one of the most important and far-reaching environmental statutes ever passed by the U.S. Congress. It is still one of the most controversial pieces of legislation ever passed. More than 30 years since its passage, key provisions of the act continue to be debated at all governmental levels, and lawsuits frequently are brought to federal courts under the act. To understand why the Clean Water Act remains controversial, it is necessary to review the history of the legislation, its goals, and its methods of achieving those objectives. The 1972 Clean Water Act represented a radical departure from previous federal water quality legislation. Beginning in 1948, Congress declared it to be in the "national interest" to assure a high level of water quality throughout the United States. It passed additional water pollution control laws in 1956, 1961, 1965, 1966, and 1970. While each subsequent act was more stringent than the previous ones, they all contained the philosophy that water quality was primarily the responsibility of the states. It was the role of the federal government to assist the states financially, to conduct basic water research, and to maintain water quality in interstate waters. But the creation and enforcement of quality standards for most of the waters in the United States—intrastate lakes, rivers, streams, wetlands , and ponds—were left to state and local governments. The Federal Water Pollution Control Act Amendments of 1972 (the Clean Water Act) regulates the release of pollutants into U.S. waterways, such as this stream degraded by chemical contaminants and silt. The legislation signaled a new way of dealing with the nation's water pollution by prohibiting the discharge of pollutants unless the discharger first obtains a permit from the government. leaders claimed that virtually nothing had been achieved by relying on state action to reduce water pollution, the 92nd Congress embarked upon a bold new course. Although the 1972 act incorporated some elements contained in previous legislation, such as generous financial assistance to state, tribal, and local governments to construct wastewater treatment facilities, it also charted new waters in federal regulatory policy, and in relations between the federal government and the states. The regulatory philosophy contained in the Clean Water Act is referred to as the command-and-control, or standards-and-enforcement, method. No longer would the federal government wait for the states to devise their own water quality standards, since few had done so when given the opportunity. Rather, Congress gave this responsibility to a new federal agency, the Environmental Protection Agency (EPA). Under authority contained in the 1972 legislation, the EPA had primary responsibility for implementing the ambitious and optimistic goals of ensuring that all waters of the United States be "fishable" and "swimmable" by 1983, 10 years after the act's passage. The 1972 Clean Water Act also set as a lofty goal the "zero discharge" of pollutants into the nation's waters by 1985. Congress passed related legislation also at this time to ensure that its intent to cover all waters of the United States was clear. In 1972, Congress passed the Marine Protection, Research, and Sanctuaries Act, known as the Ocean Dumping Act, and in 1974 the Safe Drinking Water Act. The EPA was given authority to implement these acts as well. In order to make as much progress as possible in cleaning up the nation's waters in a short period of time, the EPA embarked upon what is called a "technology-forcing" regulatory strategy. That is, the agency placed rigorous and rigid demands on those who were regulated by the statute—mainly municipalities and industries at first—to achieve increasingly higher levels of pollution abatement. Industries were told to install the "best practicable control technology" by 1977, and municipalities were told to achieve secondary treatment of their wastewater by that date. To assist local governments in meeting these deadlines, the 1972 act also provided for a generous federal grant program to construct modern treatment facilities. Indeed, much of the nation's water quality infrastructure was built in the 1970s, and an issue for today's politicians in Washington, D.C., is whether to make a similar investment in bringing an aging system up-to-date. The EPA has estimated that it could cost as much as $140 billion to accomplish that objective. The 1972 Clean Water Act has been amended three times: in 1977; in 1981 when Congress passed the Municipal Wastewater Treatment Construction Grants Amendments; and in 1987 with the Water Quality Act. All of these statutes reaffirmed the federal interest in assuring water quality in the United States, but they also recognized the difficulty of achieving the goals set forth in the 1972 act within the time period specified. Thus, timelines were pushed forward, and the rigid command-and-control regulatory approach was modified. It was replaced, in part, by a more flexible approach that stressed partnerships between the federal government and the states, tribal governments, and municipalities in achieving common purposes. Another important distinction between the original act and the 1987 revision was in its emphasis on the sources of water pollution in the United States. Prior to 1987 most programs were directed at eliminating what is called point-source pollution: that is, discharges into water that are more or less easily tracked to their sources. Pipes and other outfalls are examples of point-source pollution. By 1987, however, it became clear that a great deal of pollution was coming from nonpoint sources. It was estimated that over 50 percent of the nation's remaining water pollution problems was coming from sources that are not easily identified, such as runoff from agricultural lands, construction sites, urban areas, and even forests. Under Section 319 of the 1987 legislation, Congress authorized measures to address these diffuse sources of pollution by directing states to develop and implement management programs targeting their major nonpoint sources. Federal grants, covering up to 60 percent of the program costs, also were authorized to assist states in tackling this difficult pollution problem. There has not been a major revision to the Clean Water Act since 1987, and many feel that a comprehensive reassessment of accomplishments and failures is long overdue. The reason that such legislation has been stalled in Congress for so long is that the original 1972 act contained a few highly controversial programs, the most contentious of which may be the national wetlands protection program. Also known as the Section 404 Program, the 1972 act declared a federal interest in the protection of all wetlands in the United States. It set up a complex regulatory program administered jointly by the U.S. Army Corps of Engineers and the EPA under which anyone planning to dredge, drain, or fill a wetland must first secure a permit from the Corps. The EPA exercises veto authority over Corps decisions, while other federal agencies, in particular the U.S. Fish and Wildlife Service, provide additional input to the process. Although the process has been streamlined and simplified since its inception, it remains controversial for property owners wishing to alter their lands. Certain states, too, have claimed that the program is an unwarranted intrusion into their domain; in contrast, most environmental organizations solidly support it. Over the years, numerous court cases have addressed various issues concerning the wetlands protection program. A 2001 Supreme Court case, Solid Waste Agency of Cook County, Illinois, v. U.S. Army Corps of Engineers, found that federal jurisdiction did not extend to isolated wetlands such as the one Cook County planned to alter. With this important decision, the scope of the national wetlands protection program is reduced and returned to what it was some 30 years ago—at least until Congress revisits this aspect of the Clean Water Act. Another contentious issue arising out of the Clean Water Act and its revisions involves the setting of precise water quality standards by the states and the EPA. The original act required states to identify pollution-impaired water areas and then develop "total maximum daily loads" (TMDLs) for each waterbody. TMDLs are the maximum amount of pollution that a waterbody can receive without violating water quality standards. If the state fails to act, then the EPA is required to undertake this time-consuming and technologically challenging determination. Most states have lacked the resources to undertake this task, and the EPA has been reluctant to step in and assume responsibility, in part because it, too, lacks the necessary personnel to do the job nationwide. Consequently, since the late 1980s, citizen groups have filed more than forty lawsuits in thirty-eight states against the EPA and the states for failing to implement the TMDL requirement. During the Clinton administration, the EPA attempted to strengthen the enforcement of this program, but with the change in the presidency after the 2000 election, that proposal has been tabled. As with the wetlands issue, scholars and other interested parties note that the time has come for the U.S. Congress to revisit the Clean Water Act of 1972. This ironic juxtaposition of two signs on a public beach reveals the complex task that society faces in protecting both land and water quality. The U.S. Environmental Protection Agency has established National Beach Guidance and Performance Criteria for Recreational Waters designed to ensure the public's health and improve environmental protection for beaches. The Clean Water Act restricts discharges of pollutants into the nation's waterways. If and when Congress reconsiders this historic piece of legislation, it will want to look closely at what has been accomplished, and by what means. The Clean Water Act is not without its critics. Even the EPA acknowledges that the results are mixed: Today, 40 percent of the waters surveyed by the states fail to meet national water quality standards. Although the Clean Water Act was well intentioned, some scholars have found it to be an instance of flawed public policy-making. Cornell University political scientist Theodore Lowi wrote in 1979 that Congress knew nothing about water pollution when it was writing the act, and so simply mandated a regulatory agency, the EPA, to do whatever it saw fit. This was a recipe for political chaos, Lowi charged, which inevitably would result in the federal courts becoming deeply involved in the water pollution control policy process. Indeed they have, as noted earlier. Another critic of federal pollution control policy, Barry Commoner, a scientist and spokesperson for the environmental movement for nearly 50 years, wrote in a 1990 book that both the Clean Water and Clean Air Acts relied far too much on "control" and too little on "prevention." Noting that waste, once produced, has to go somewhere, the federal approach has been largely to try to control the effects of municipal, industrial, and agricultural waste production. The EPA should have spent more time working on the causes; that is, in preventing it in the first place, through such measures as recycling, reducing, and reusing (known as "the three Rs" of conservation). The Clean Water Act of 1972 and its revisions spoke to the highest aspirations of the American people with regard to the environment they wished to inhabit. Although deficient in a number of ways, it nevertheless pointed the direction society needed to take to insure the continuance of a healthy and productive natural environment. The task of politicians today is to discover more efficient means, including the development of new technologies, in order to achieve the objectives set forth in 1972. SEE ALSO Environmental Movement, Role of Water in the ; Environmental Protection Agency, U.S. ; Fish and Wildlife Service, U.S. ; Legislation, Federal Water ; Pollution of Lakes and Streams ; Pollution Sources: Point and Nonpoint ; Safe Drinking Water Act ; Wastewater Treatment and Management . Commoner, Barry. Making Peace with the Planet. New York: Pantheon, 1990. Loeb, Penny. "Very Troubled Waters." U.S. News and World Report 125, no. 12 (September 28, 1998):39, 41–42. Schneider, Paul. "Clear Progress, 25 Years of the Clean Water Act." Audubon (September/October 1997):36–47, 106–107. 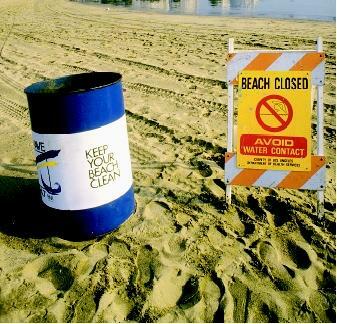 EPA Beach Watch Webpage. U.S. Environmental Protection Agency. <http://www.epa.gov/waterscience/beaches/> . U.S. Code Chapter 26: Water Pollution Prevention and Control. Legal Information Institute, Cornell Law School. <http://www4.law.cornell.edu/uscode/33/ch26.html> . 30th Anniversary of the Clean Water Act. Year of Clean Water 2002. <http://www.yearofcleanwater.org/> . WHAT IS A WATER PERMIT? The 1972 Clean Water Act contained the philosophy that all discharges into the nation's waters are unlawful unless specifically authorized by a permit obtained from the Environmental Protection Agency (EPA). Under Section 402 of the act, the National Pollutant Discharge Elimination System (NPDES) was created, covering more than 65,000 industrial and municipal dischargers. An NPDES permit requires industries to attain the best practicable control technology applicable to each pollutant discharged, and for municipalities at least secondary treatment of their discharges. Permits are issued for 5 years and must be renewed to allow for continued discharges. 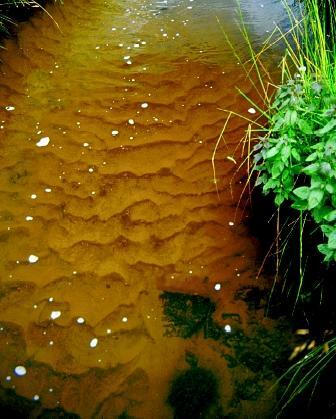 Permit holders must maintain records of their activities, and they must carry out effluent monitoring. The NPDES permit, containing effluent limitations on what may be discharged by any single source, is the principal enforcement tool of the Clean Water Act. The EPA may issue compliance orders, or bring civil suits in U.S. District Court against persons who violate the terms of their permit. Penalties for noncompliance can range from $25,000 per day to as much as $250,000 a day, 15 years in prison for "knowing endangerment" of public health, or both. In addition, individuals may bring a citizen suit in district court against persons who are suspected of violating the NPDES permit process.